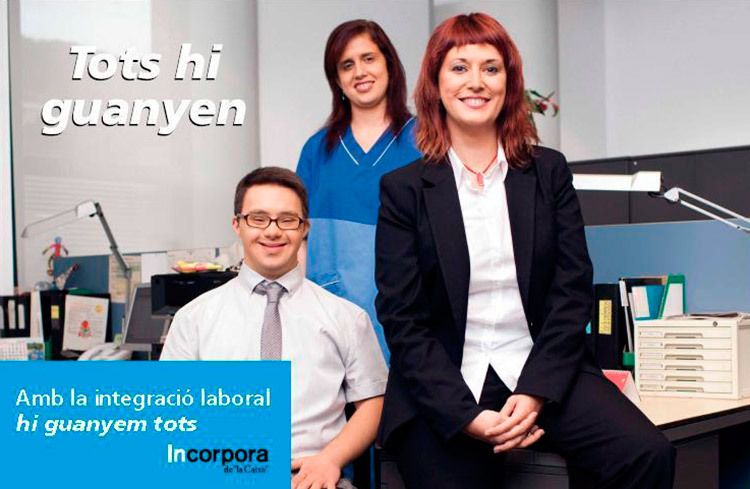 The INCORPORA programme of “La Caixa” aims at the labour insertion of people at risk of exclusion. It also offers companies advice on hiring people with special difficulties and promoting corporate social responsibility. The INCORPORA programme has a network of 283 social organisations that collaborate on quality labour intermediation in order to meet the needs of the person with those of the company. You can find more information about the INCORPORA programme of “La Caixa” at the web.